This year, the panel of World tasting Wine Enthusiast reviewed over 16,500 wines in all styles and prices. In the December issue is published Top 100 selected wineries. 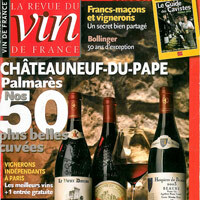 Congratulations to the field of Font du Loup which ranks 66th in the ranking of the best wine in the world!